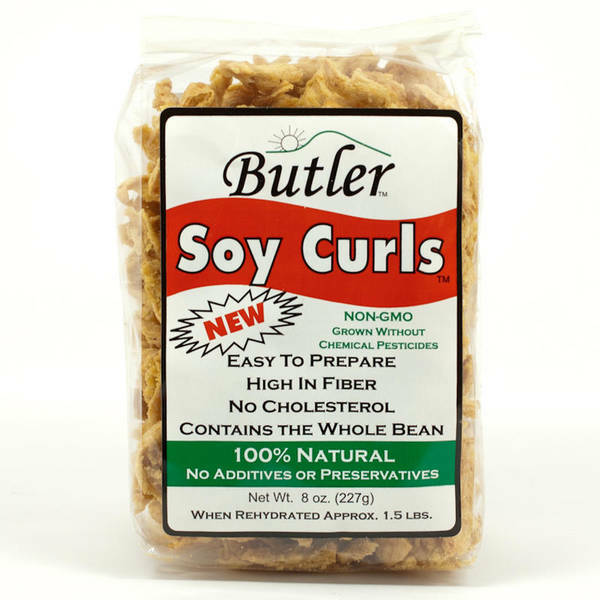 Butler Soy Curls™ are an all natural alternative to meat that are heart healthy, delicious and easy to use. 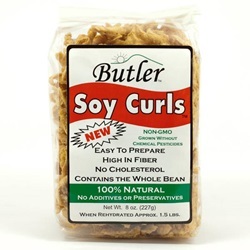 Soy Curls are 100% whole soy! They have all the health benefits of the soybean. Quick cooking, versatile and easy to use like TVP. 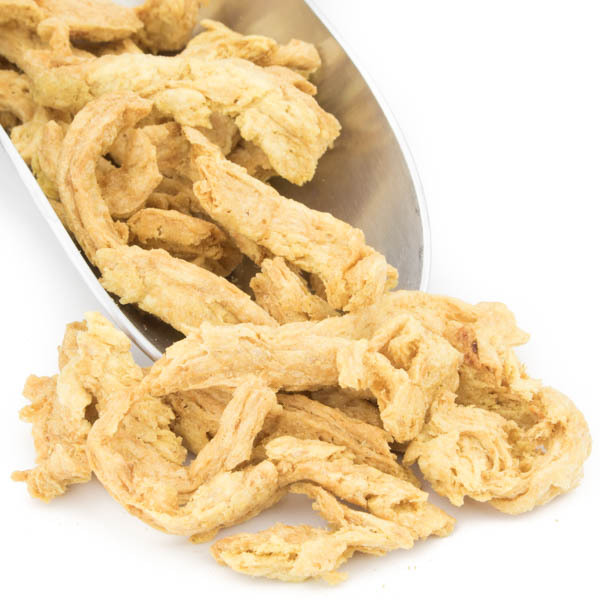 100% delicately textured Non-GMO soy beans.